The U.S. Supreme Court seems poised to grant a new trial to Curtis Flowers (pictured), an African-American death-row prisoner tried six times for the same murders by a white Mississippi prosecutor who struck nearly every black juror from service in each of the trials. During oral argument in Flowers v. Mississippi on March 20, 2019, eight justices expressed concern that Flowers had been denied a fair trial as a result of race discrimination in jury selection in his case. Justice Samuel Alito called the case “very troubling” and Justice Brett Kavanaugh raised concerns about prosecutor Doug Evans’ pattern of discrimination. 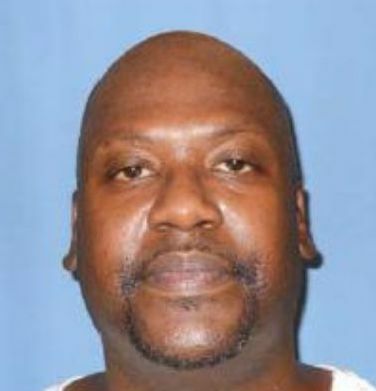 Flowers has been tried six times for a quadruple murder in Winona, Mississippi in 1996. His first three convictions were overturned by the Mississippi Supreme Court as a result of prosecutorial misconduct. Two of those reversals included findings that Evans had violated Batson v. Kentucky, the landmark 1986 Supreme Court decision barring the use of discretionary strikes to remove jurors on the basis of race. Flowers’ fourth and fifth trials — the only trials in which more than one black juror was empaneled — ended in hung juries. At issue before the Court was Flowers’ sixth trial, in which a jury of 11 white jurors and one black juror convicted him and sentenced him to death. Sheri Lynn Johnson, arguing on behalf of Flowers, said Evans entered Flowers’ trial “with an unconstitutional end in mind – to seat as few African-American jurors as he could.” “The history is relevant,” she said, calling it “a history of a desire for an all-white jury, a history of willingness to violate the Constitution, and a history of willingness to make false statements to a trial court.” She urged the justices to consider the pattern of discrimination, not just Evans’ actions in the most recent trial. If the Court overturns Flowers’ conviction, the case will return to the state to decide whether to try Flowers for a seventh time. (Mark Sherman, Supreme Court troubled by jury selection bias in Mississippi, Associated Press, March 20, 2019; Tony Mauro, Kavanaugh Takes Lead Role Favoring Mississippi Death Row Inmate, The National Law Journal, March 20, 2019; Richard Wolf, Six trials for same murders: Supreme Court frowns on racial jury selection tactics of Mississippi prosecutor, USA Today, March 20, 2019; David G. Savage, Supreme Court appears set to overturn Mississippi murder case based on racial bias, Los Angeles Times, March 20, 2019.) Read the transcript of the oral argument in Flowers v. Mississippi. See Race, Prosecutorial Misconduct, and U.S. Supreme Court.